On Christmas Eve, Thomasville, GA police pulled a vehicle over at approximately 6:30 p.m. for having no tag lights. According to a news article at the Times Enterprise, upon stopping the pickup truck the officer noticed a strong odor of what he suspected to be burned marijuana. At this point, police searched the vehicle and its occupants. What essentially began as a traffic stop turned into something much larger, as a passenger of the vehicle was found to have a Schedule I narcotic drug on her person. According to Kevin Lee, commander of the Thomas County/Thomasville Narcotics/Vice Division, the drug found in a plastic bag in the crotch area of the pants worn by the passenger was believed to be a synthetic substance such as molly or flakka. The woman who had the drug on her person was 36-year-old Jamie Lynn Gordon. She was charged with possession of a Schedule I controlled substance. News reports didn’t indicate whether any other occupants in the vehicle were arrested, or whether marijuana was found in the vehicle. 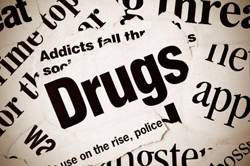 Many states in the U.S. use a “drug schedule” to organize controlled substances. Those drugs that fall into Schedule I are the most serious when it comes to criminal charges, and generally serve no legitimate medical purpose. These substances include, but are not limited to heroin, GHB, marijuana, ecstasy, LSD, and peyote. In most states, the punishment an individual may face if convicted of possession of a controlled substance depend on factors including the type/amount of drug involved, criminal history, where the alleged offense took place, etc. In the state of Michigan, someone who is found guilty of possession of a Schedule I controlled substance may face a life prison term and up to $1 million in fines. At the low end of the scale, if a person is found to be in possession of more than 25 grams but less than 50 grams, he or she may still face up to four years in prison along with $25,000 in fines. Those convicted will also have a criminal record which may impact employment, reputation, and much more. Anyone in Lansing, Detroit, or other cities in Michigan who has been arrested or is under investigation for possession of a controlled substance regardless of Schedule must consult with an experienced drug crimes attorney at once. There are several legal options that must be explored; your legal rights and freedom must be protected as well.